Rest Area...Motor Home...Farm Animal?! 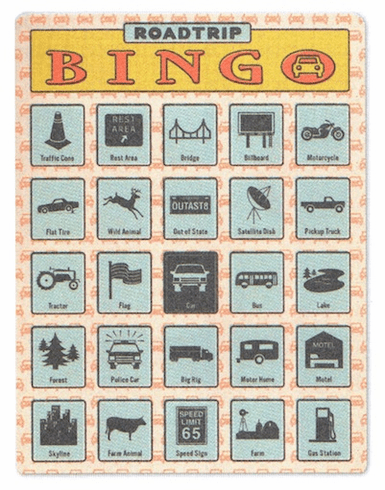 We love Bingo and so do you. The childhood game is all grown up with a twist on the classic pastime. Portable and easy to use, with bend-back icons that keep things tidy, this game pad is perfect for a trip to Grandma's or Vegas! Call it like you see it: BINGO! 6 3/8" x 8 3/8" x 1/4"